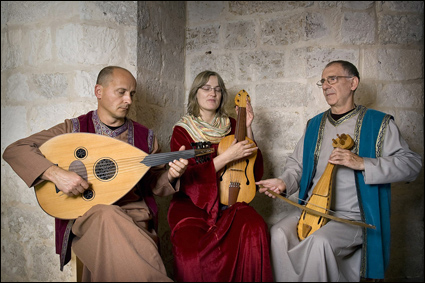 A wide variety of instruments are used to accompany the melodies which were to entertain the medieval world for a very long period of time.During two centuries the Troubadours propagated the art of "fin amour". 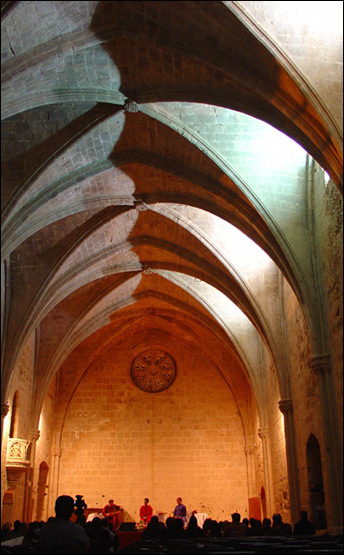 On the XIIIth century at the court of king Alfonso the Xth, musicians and poets christians, jewishes and muslims write the wonderfull pages of a manuscript wich relate miracles of Holy Mary. Along Middle Ages, as the cathedrals, the music became orned, colored. With the polyphony a new architecture is born. 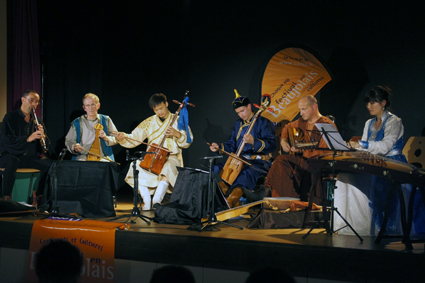 On a screen placed on the stage, photographs illustrating the pieces being played are shown. 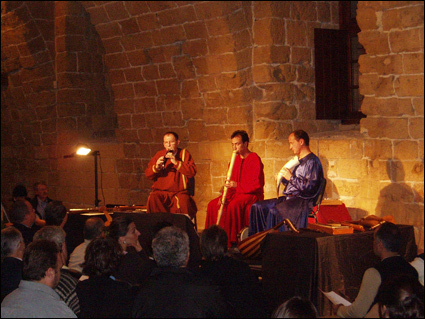 The aim is not merely to offer a recital of music but also to give life to a cultural heritage a illuminations, manuscripts, sculptures, buildings with their revolutionary architectures (cathedrals, cloisters, villages, castles...) that bear witness of the vivacity of the mediaeval spirit. And it's sometimes difficult to disting what is mongolian or medieaval. 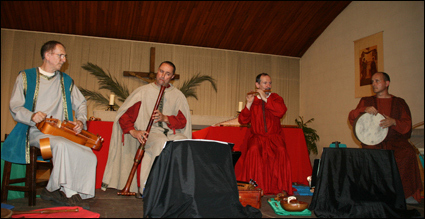 The programme of this recital in divided into sequences grouping various styles of musical composition that find their origins in the same gregorian basis. 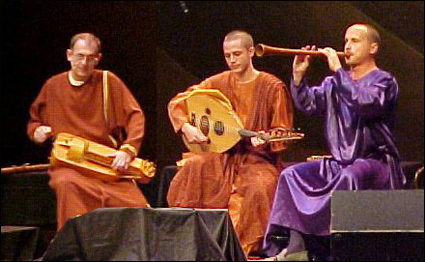 The sequences follow the evolution of Neume written gregorian plainsong from the 10th century to the polyphonic art of the School of Notre Dame in the 12 and 13th centuries. 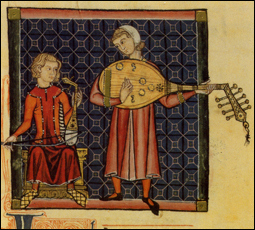 Eleonor of Aquitaine, queen of France, queen of England, mother of Richard Lion Heart was all along her life a protector of troubadours. 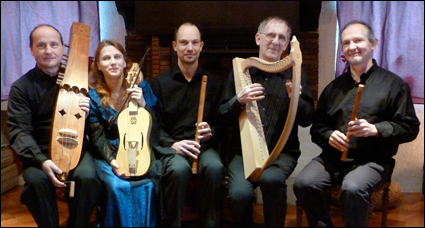 An exhibition about two centuries of history crossed by Dame Eleonor, her familly and troubadours.